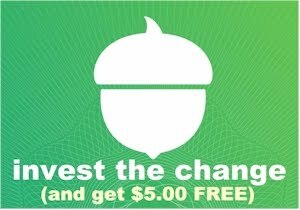 This is a GREAT opportunity to put a dent in your Chanukah toy list! 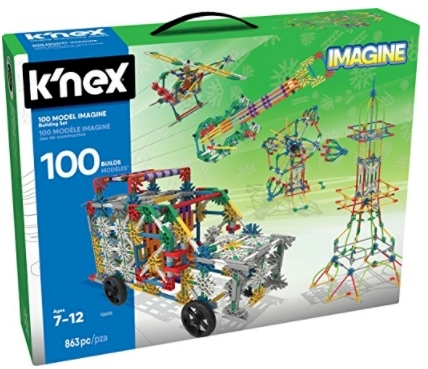 K'nex 100 Model Imagine Building set (863 pieces) for $25.99 with free Prime shipping. It got 4.7 out of 5 stars over 154 customer reviews. Limit 3 per account. 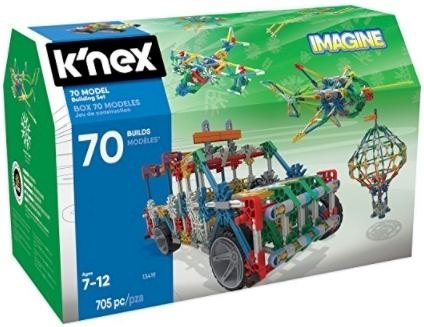 K'Nex 70 building set (705 pieces!) 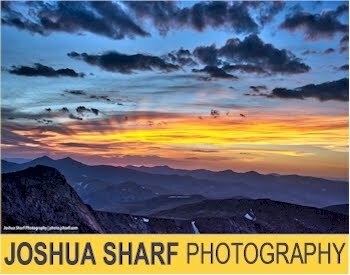 for $24.35 with free Prime shipping. It got 4.6 out of 5 stars over 604 customer reviews. 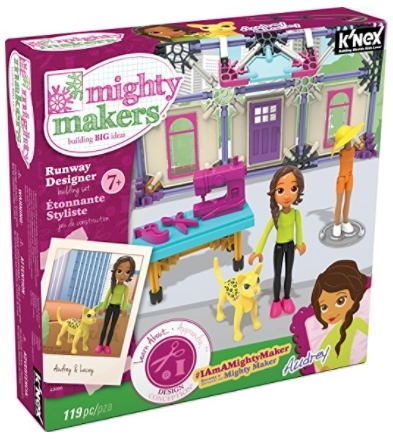 K’NEX Mighty Makers Runway Designer Building Set (119 pieces) for $10.35 with free Prime shipping. It got 4.2 out of 5 stars over 24 customer reviews. 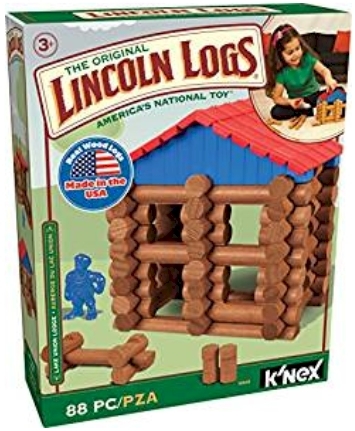 Lincoln Logs Lake Union Lodge (88 Pieces) for $17.99 with free Prime shipping. It got 4.4 out of 5 stars over 118 customer reviews. 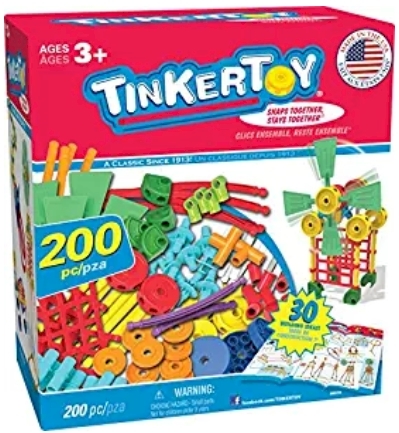 TinkerToy 30 Model Super Building Set (200 Pieces) for $25.99 with free Prime shipping. It got 4.6 out of 5 stars over 399 customer reviews. 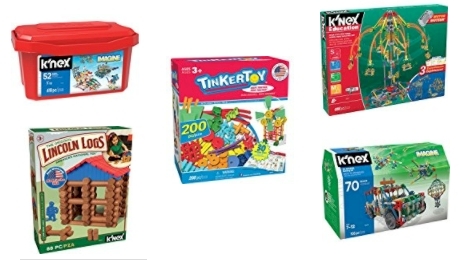 There are a total of 19 toy sets that fall under this 40% off Gold Box Deal and they start at $10.35. I checked randomly, and some of these sets are priced even lower than last year! Hurry, because all of these prices disappear tonight, at midnight Pacific.